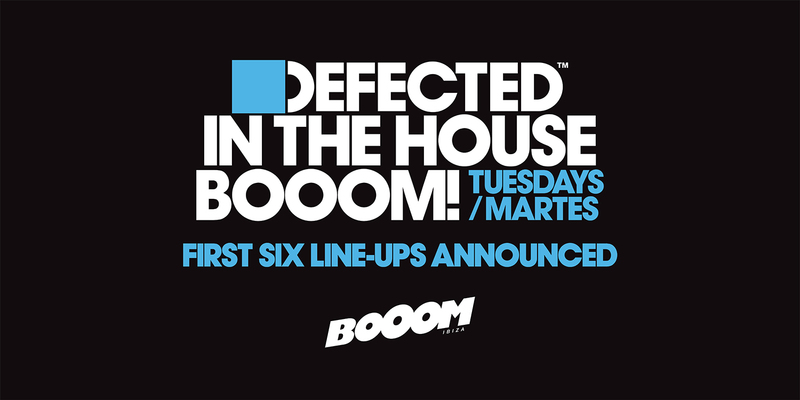 Following on from the announcement of the Defected Opening Party line-up at BoOom! Ibiza, 20 May, we can now reveal the full line-ups for the first six parties of the 2014 summer season. Artists appearing over the first six weeks include Breach, Kenny Dope, Guti, Nic Fanciulli, Dennis Ferrer, Oliver $, Catz ‘n Dogz and SecondCity, with full listings for each party detailed below. Also appearing three times in the opening weeks is Sam Divine, the new host of the Defected Radio Show who will be Defected’s main resident at BoOom! Ibiza this season. The line-ups of these first parties fully reflect Defected founder Simon Dunmore’s promise to “access a broader talent pool and evolve our line ups”. Following this exemplary start, an incredible array of talent will continue to take the stage at BoOom! Ibiza over the course of Defected’s 20-week season, with further details for each of the parties released over the coming weeks. As the venue enters into its second season, with Defected In The House as its flasgship night and an exciting weekly line-up yet to be announced, BoOom Ibiza! looks set to cement its position as one of Ibiza’s top clubs this year.